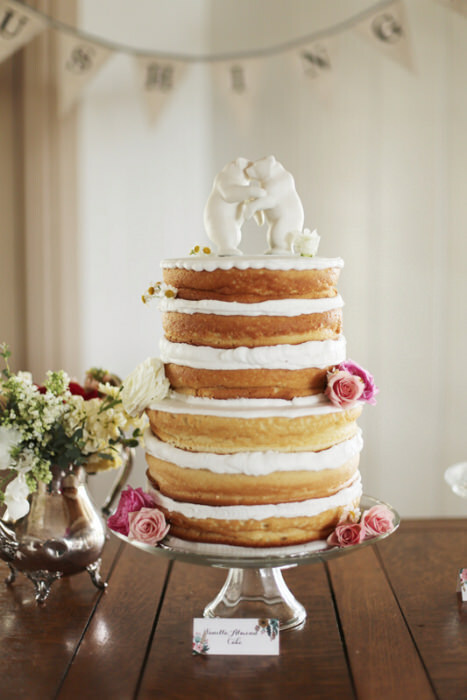 For a wedding cake with a difference, forgo the frosting and opt for a naked cake. 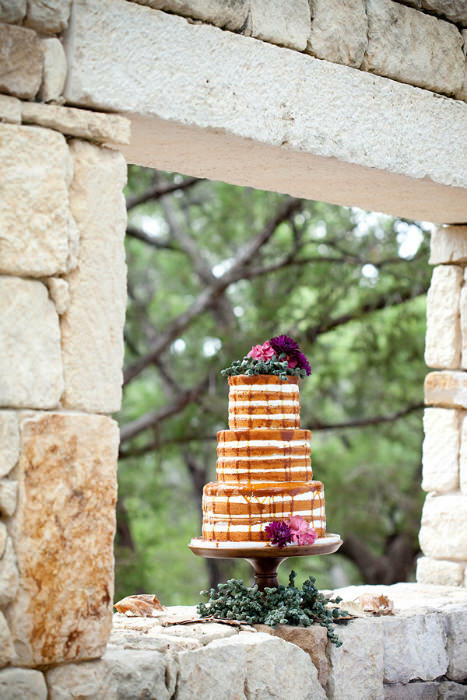 These cakes are rustic delights and what they lack in a frosted covering they make up for with fresh fruits, flowers and decadent fillings. If you’re a frosting fanatic (aren’t we all?) 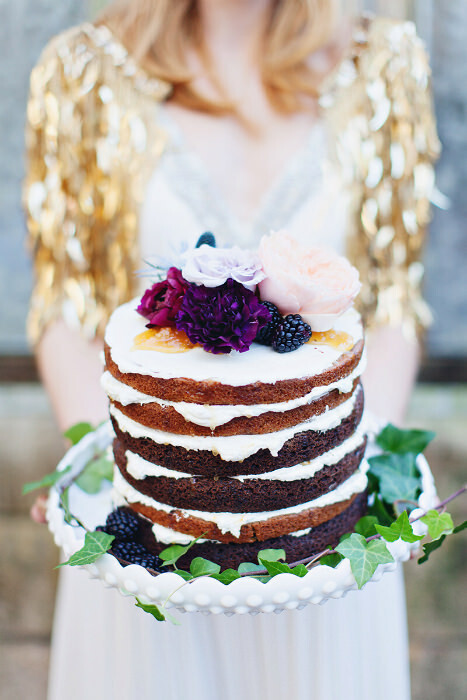 there’s no need to worry as heaps of the sweet stuff can be found in the layers of the cake. We love that the options for the decorations on these cakes are limitless but still produce a finished look. 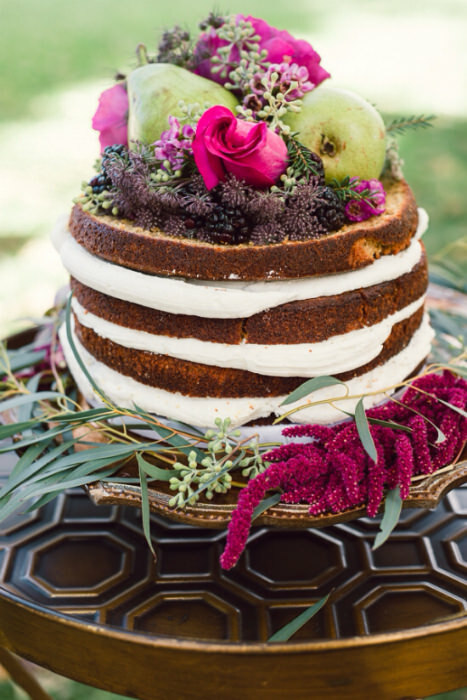 Flowers are a great match for naked cakes. 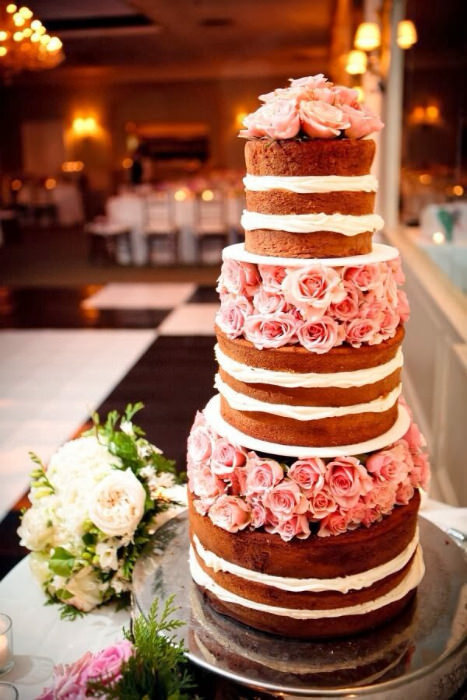 Use fresh blooms on the top of the cake or carefully placed within the layers for a romantic effect. 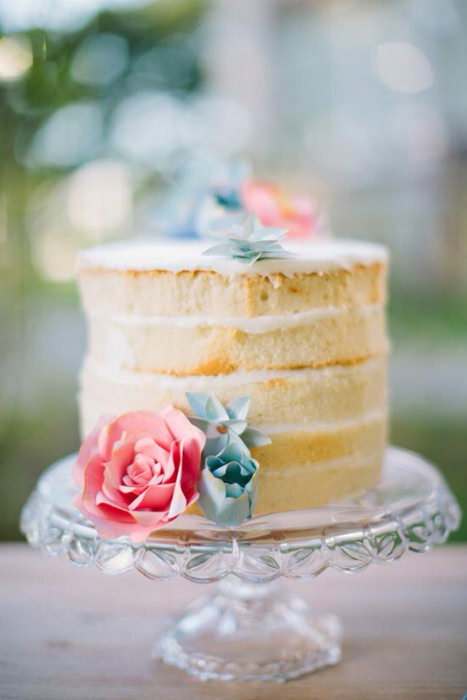 You can also use the flowers on the cake stand that you plan to use to continue the look. 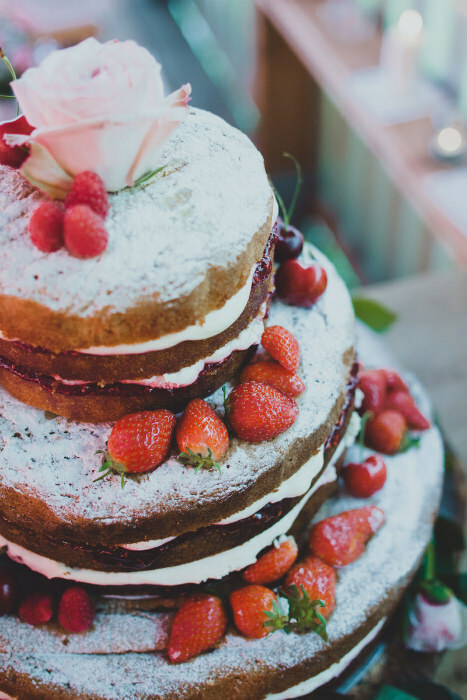 The flavor of your cake is all-important for taste purposes but can also add to the visual appearance of your stripped back cake. Chocolate sponges give a nice contrast when alternated with vanilla sponge layers. 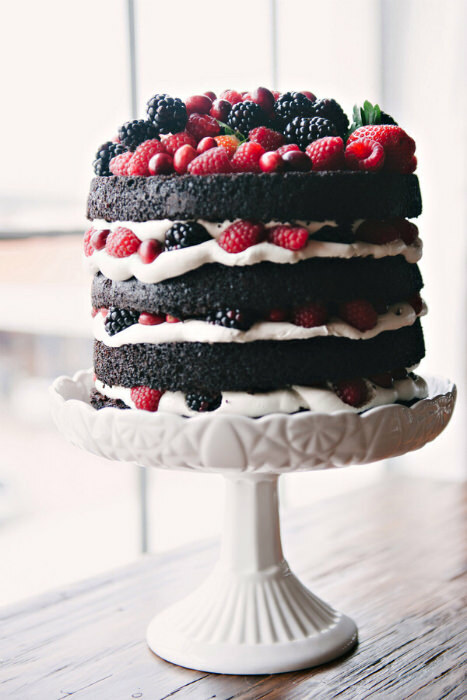 Likewise, rich chocolate cakes with dark berries are great for moody fall nuptials. 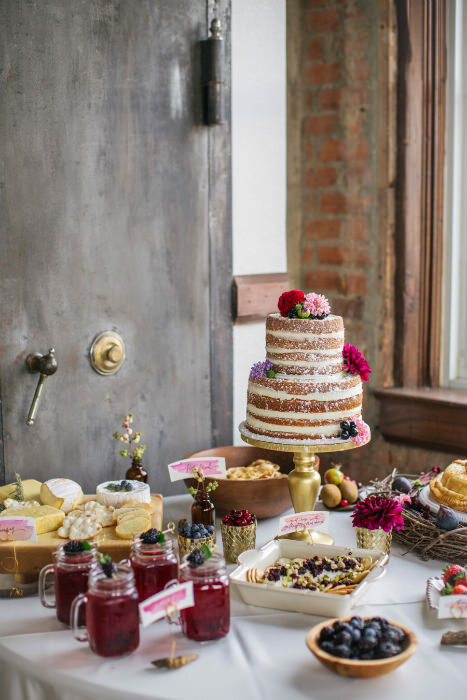 Pile the fruit on high for a decoration that’s as delicious as it looks. 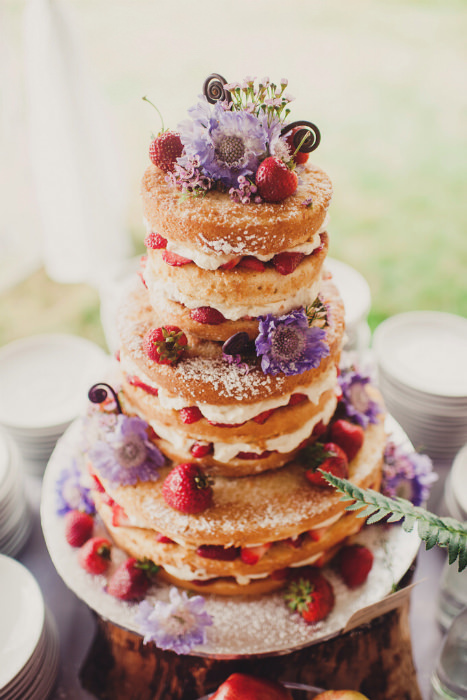 Strawberries and cherries look great with a jam filled cake and a soft pink theme. 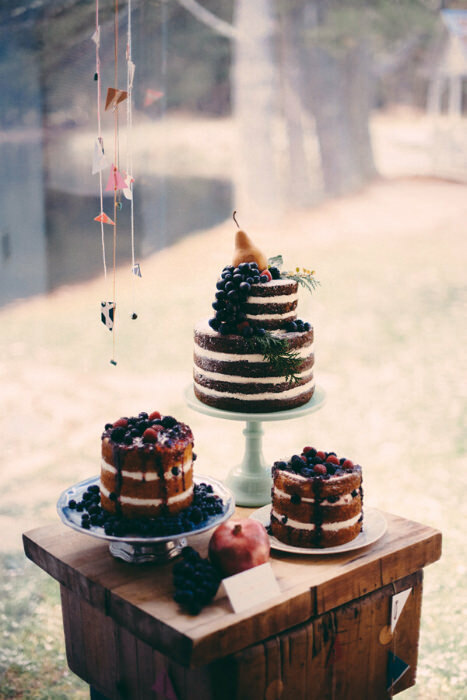 Darker berries and pears have a homemade, rustic look that would fit right in at a barn wedding. 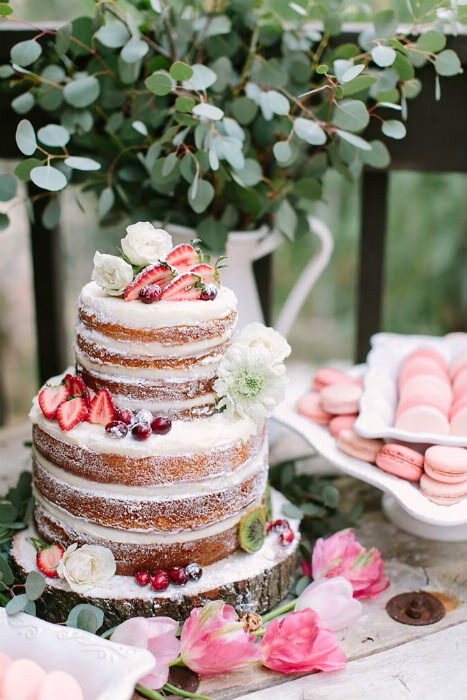 A petite and precise naked cake proves that this trend can be just as sophisticated as its frosted counterparts. A few roses and a light sponge are all you need for a dainty dessert. 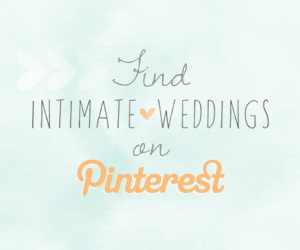 Include your cake on a buffet table of goodies; using your cake stand and floral decorations to blend in with your wedding colors. 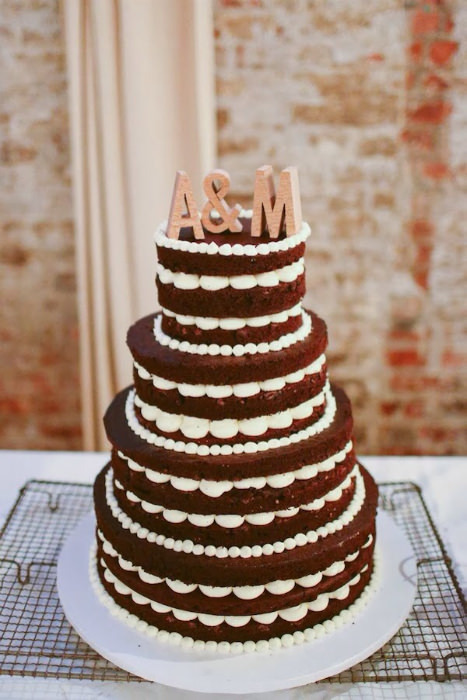 Think beyond the traditional cake toppers and go for something that’s as unique as your minimalist cake. Painted animals or quirky initials can add that extra touch to your cake.